On October 21st, the US Senate Special Committee on Aging took up the issue of Tech Support Scams. The link below provides a full transcript of the hearing – along with video. 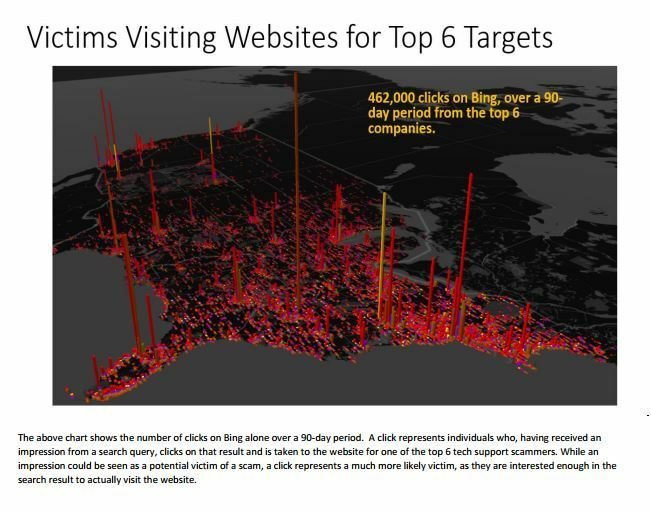 Tech support scams are perhaps the single largest consumer fraud perpetrated in America today, victimizing an estimated 3.3 million people each year — many of them senior citizens — at an annual cost of $1.5 billion. This translates to a victim nearly every 10 seconds, with an average loss of $454 per consumer. 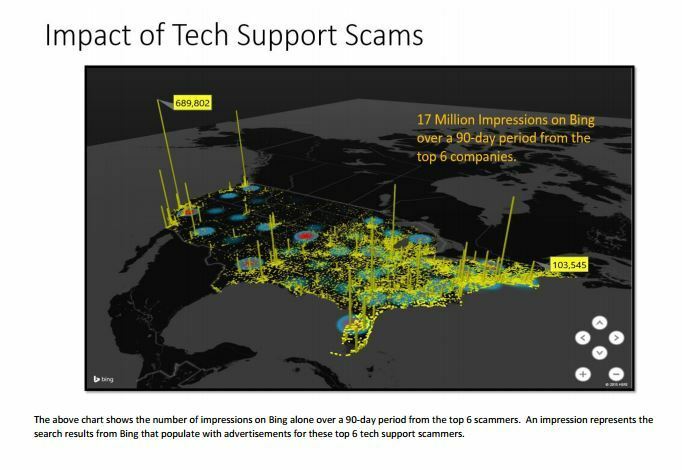 Since May 2014, Microsoft alone has received over 180,000 complaints about tech scams — and we know these are merely the tip of the iceberg. Consumers are also being victimized and many of these victims are not even aware that they have been scammed. Computer users from around the world are being targeted by 3 types of technical support related scams: 1)Phone calls from companies claiming to be associated with well known software vendors – offering assistance with a problem with your PC 2)Deceptive advertisements for technical support for a particular software product placed on search engines like Google and Bing and 3)Browser Hijacking – that promotes phone based technical support. ALERT: We have recently received reports of Tech Support scam phone calls being made by persons claiming to represent PC Matic. PC Matic has NO relationship with these parties and does NOT solicit consumers or businesses over the phone. We are actively investigating this issue and will continue to provide information about the warning signs of these scams. If you need assistance with PC Matic – our support team is available 7 days a week via pcmatic.com/help. As you browse the internet are you seeing endless pop-ups with offers of 800 numbers for technical support and more? Your browser may have been hijacked. Sophisticated malware now has the ability to recognize the type of page you are visiting, hijack your browser and serve you related pop-up ads. Pop-ups like the one pictured below (being served to a visitor to pcpitstop.com) are most likely associated with a browser hijack/malware infection. The pop-ups are in NO way associated with PC Matic or PC Pitstop. WARNING: It has come to our attention that companies are deceptively promoting PC Matic “Support” via Google & Bing ads (like the one below). The company behind the majority of these ads -iYogi – is in NO way associated with PC Matic or PC Pitstop and is exploiting ‘loopholes’ in search engine advertising policy. Consumers who respond to these ads are charged a minimum of $149.99 – for answers otherwise available for free in basic online documentation or via official PC Matic support. PC Pitstop has repeatedly petitioned Google and Microsoft to have these ads removed. Classic scam-avoidance 101: never completely trust someone who you don’t know who calls you. Listen to them, if you like. Ask questions, if you feel so motivated, but never ever give them access to your PC and never ever give them your payment information. Once it becomes clear that you’re not going to fall for the trap, it’s very likely that you’ll get hung up on, or that the caller may even become abusive. At that point, you can hang up on them. If you’re concerned that there is a real problem, do the research yourself, or contact the technical resources that you trust and ask them about it. Chances are there’s nothing to see here. If you handed over payment information, you’ve just given that information to a complete stranger. Immediately contact your credit card issuer or other payment provider and put them on fraud alert. If you allowed the scammer access to your machine … well, things get ugly. The short answer is that you have no idea what they did. If you saw them install software in the guise of tools to help repair your system, it’s very possible that software’s really a bundle of malware that’s now residing on your machine. And there’s no way to prove that they didn’t. Assume the worst. Revert to a system image backup taken before the access was granted. If you don’t have such a backup, then backup your data, reformat, and reinstall Windows. This is the only way to know that whatever the scammer might have left on your machine is truly gone. Hope for the best. Run up-to-date anti-virus and anti-spyware tools, making sure that each is running with an up-to-date database. I’d be tempted to scan with an additional tool or two; I would specifically recommend a scan with MalwareBytes Anti-Malware, which seems to catch a lot of the more aggressive malware. I’d be tempted also to try the process outlined here, as well as Windows Defender Offline. And then I’d hope that whatever may have been left was caught. This appears to be a common scam right now and the best defense, as you can guess, is to not fall for it in the first place. If you do, then the next best thing is to make sure that you have regular system backups that you can revert to. If “they” do, be very, very suspicious. My 74 year old mom called tonight…”honey I think I’m in trouble”…PC Magic charged her $245 to ‘clean up’ and protect her desktop which has been a little slow lately. Ugh! After listening to her trembling voice reiterate the 3 hours of remote access help or should I say ‘slight of hand trickery’, I told her to hang up and call her bank and credit card accounts and freeze everything! While he was cleaning her PC, he told her his software tools were not compatible and he would need to refund her $245, oops, we put $2,500 in your account on accident. Can you send us a refund? Just go to Walmart and send us a Money Gram in China!!!! BTW, he actually transferred the $2,500 into her checking account FROM her line of credit while she was online with him for 3 hours!!! She didn’t even notice. OMG, I’m so disgusted by this blatant elder abuse scam!!! I told her to go back to rotary phones, check books and snail mail, at least you felt safe communicating with other human beings (plus there’s an actual audit trail…). Never ever give someone you don’t know remote access to your PC/laptop – ever! Never give out your personal information over the phone to someone you don’t know – ever! I am so sorry to hear about this Cindy. The scammers are advanced, and good at what they do. 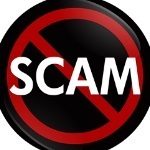 I truly hope your story helps others from falling victim to this and similar scams. Your advice is spot-on. Never give anyone access to your PC, and don’t give your personal information to anyone you don’t know. I hope both you, and your mom understand — PC Matic was not behind this scheme. Unfortunately, scammers have been illegally portraying PC Matic, similar to how they portray Microsoft support. I wish you and your mom the best, and hope this matter is resolved as quickly as possible. I appreciate the valuable Informaton shared In this point, But you don’t see everyone with the same eye. Remote assistance Is an great Idea, but due to some of the scammer people loss their trust In this service sector, In this technical era every one have their busy schedule no time, to go for good technical support. http://geek-squad.org Is one of the leading solution provider across the country. If our experts are not capable to resolve your query we do not charge. I had a number in my address book 1-800-486-7148 for PC Matic that I had for a couple of years and had written down before calling it to go to the website pcmatic.com/help. I did go to the website and filled out a form regarding my problem. Back to calling the 800 number I got a guy named Vincent Williams, he said let’s take a look and see what the problem is. Then he says that will $414.58 to fix it. I said that I could buy a new computer for that amt of money. I would have to talk to my husband before being out that much money. (I knew then that I was not giving him anything) He said he would hang on to the order until 5:30 p.m. and if I waited it might be more money. Red Flags went up every where. I thought how did this happen when I had used this phone number before to call PC Matic. What in the world is happening? Please let me know if this number is not a PC Matic number. I apologize about the issues you’ve experienced. I am assuming, the instructions sent by our support team on virus removal etc. was not successful, since you mentioned you had to purchase a new computer. If you would still like a refund, you may send a helpdesk request to http://www.pcmatic.com/help. If you decide to keep our protection, you can certainly install it on your new computer. I understand you may be hesitant to do so, with the issues you experienced before. However, please understand, the issues were due to the scammers–not PC Matic. Thank you, and again, our sincerest apologies. If you call Microsoft for support then Microsoft should ask you for a temporary Pin number. They should do this with all of their customers. Then everyone in the Tech industry should do the same. Next up is have Microsoft create a new ad telling the public about the Pin. Regardless if they work on behalf of Microsoft or what ever …everyone needs their Pin. The customer will be the first to have the pin because they create it. If you cold call and I did not supply a pin to anyone then I know I should hang up because it's a scam. Naturally the customer has to call first. As for phising Microsoft I believe they need to create a new method for their REAL affiliates. Maybe they need their own Pin associated with each affiliate? You ask for the number and Microsoft has a database with each number and who is affiliated with that number. Customers can go to the database log in and check for that company. The numbers should change after so many days, or hours or after so many lookups for the company and that way those trying to fraud the system will not know if or how many times the number will work. The consumer should only log in ever so often too. The actual owner of the number gets a update by phone text or email if the pin hs changed <shrugs> just sayin. stalled getting to his Walmart destination to wire money to release control of computer, wife called said Bank had shut us down–told this scammer to jam it and hung up. Removed Hard drive, reinstalled from backup. then reformatted original drive. Interesting and noted. My only comment is that the largest scam in history is probably Bill Gates and Microsoft. Gates built an empire without an original idea of his own; by stealing the ideas of others, repackaging, and bludgeoning his competition with that competition's ideas. When one guy called and said I was having problems with my PC and he wanted to help, I asked him if he wanted me to turn it on. Silence before I hung up. A couple of months after my wife passed away,I had a call "from Microsoft." I was not thinking clearly. They got away with $200. of my money. Called back several times,but I had spoken with a tech person in our area and made sure they didn't get anymore money! Or get on my PC. (They did the first time. To my knowledge,no problems.It has been several month since.) They were a bit abusive – still called back againand again. Last time,they hung up and have not called back again. Time to use an airhorn and blow out the scammers' ears. The biggest scam in America today is Obamacare. WILL DO AS YOU SUGGEST!!! I don’t have these problems because I know how to fix computer problems. I signed up with a company called PcTechclinic, Inc. How do I check to see if they are legitimate. They fixed my 2 printers and now I can scan, print and copy on both. I told them that I no longer have any microsoft products – switched to apple. They hung up. They called us again yesterday. We ridiculed the caller so much he broke character and laughed. We told him we would call the FBI and he said he would call three way. He changed his voice and went from "Albert" to "Andrew", funny names for an Indian. He said he would arrest my daughter for not cooperating. He verified our address. She invited him to come to our house and I racked the slide of my 1911 .45 semi-automatic just before she hung up. lol if i ever have a problem….i call geek squad or office depot. If I get a phone number from your website, is it legit? Because I did. Things like this is why people, my self included use AdBlockers, VPN’s, BLUR-formerly DoNotTrackMe, Virus/Spyware/Malware/scaner’s with a Firewall. MalwareBytes and other like scaner’s. This isn’t just a Age issue. It’s a Any age issue! Do these Scamers care how old their victims are? I think not. They only care about the $money! Yes the Elderly are always more vunerable. I’ve only watched the 1st video. Was said they need more people to report Scams. How would anyone be incuraged to file reports when it’s well known majority of the time Nothing would/could be done? Seems theres a big issue for Honest advertisers with so many installing AdBlockers and antitracking software/brower addons etc. From My Own point of veiw. Pages filled with flashing banner adds, pop-ups/unders/overs etc Can be & Are loaded with spyware/malware/trojins/browser hijacks on & on & on! Instead of going after those of us that know How & Why we need to protect our selves! How about making sure your adds can’t be injected with all the “Bad”ware? I would Rather Not to have to spend so much of My time reading & learning how to protect My PC/Cell/Tablet/Smart TV/Set Top Box & My personal data etc. I’d Rather Not Have to load up My Devices with Sooo many products Trying to stay safe! To only read No matter how hard one try’s the bad guys Still find a way to creep in our diveses & lives! !